Three Parallel Rivers of Yunnan Protected Areas is situated in south-west China. The site consists of 15 protected areas (in eight geographical clusters) in the mountainous north-west of Yunnan Province. Extending 310 km from north to south and 180 km from east to west, the site encompasses large sections of three of the great rivers of Asia, the Yangtse (Jinsha), Mekong (Lacang) and Salween (Nu Jiang), which run parallel from north to south through the nominated area for over 300 km. The world heritage area lies over four parallel north-south trending mountain ranges that reach a height in excess of 4,000 m above sea level in altitude. These ranges are part of the Hengduan Mountains located beyond the eastern end of the Himalayas, which have been corrugated and uplifted by the pressures of crustal folding. The site is dominated by a huge composite orogenic belt that shows the signs of powerful crustal movements in the past. Notably is the compression of the edge of the Eurasian plate by the underlying Indian plate which is being subducted along the line of the Lancang River fault. The resulting squeeze created vast thrust-nappes; violent shearing and uplift into high mountains, through which pre-existing rivers continue to cut, resulting in the extreme vertical relief which characterizes the area. Some of the results are visible in complex patterns of folded rock and unusual mineral formations. The site is also an excellent representative of alpine landscapes and their evolution. The eastern mountains, plateaus and valleys are covered with meadows, waterfalls and streams and hundreds of small glacial lakes left by glacial erosion processes. 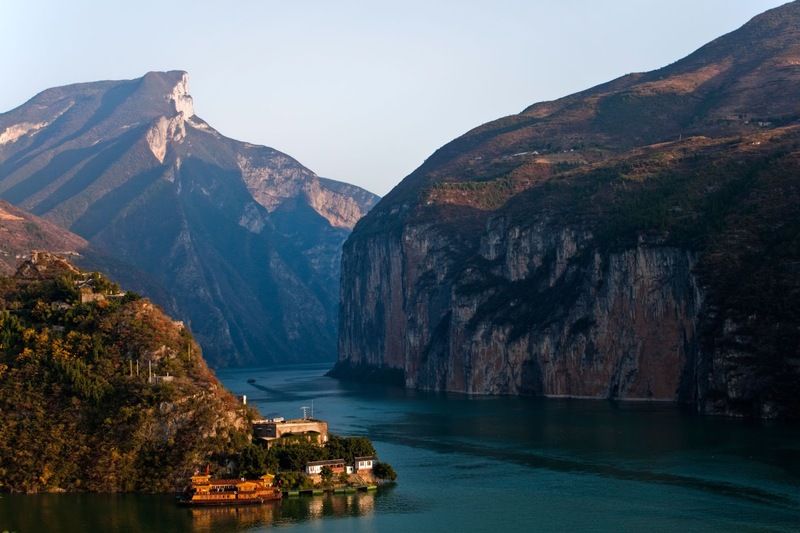 The land area encompassed by Three Parallel Rivers of Yunnan Protected Areas is one of the world's least-disturbed temperate ecological areas, an epicentre of Chinese endemic species and a natural gene pool of great richness. It supports the richest diversity of higher plants of China, owing to its altitudinal range and its position in a climatic corridor between north and south, it includes the equivalents of seven climatic zones: southern, central and northern subtropical with dry hot valleys, warm, cool and cold temperate, and cold zones. Owing to its function as a refuge during the last Ice Age and its location near the boundaries of three major biogeographic realms, East Asia, South-East Asia and the Tibetan plateau, the park has 22 vegetation subtypes and 6,000 plant species. The fauna is a complex mosaic of Palaearctic, oriental and local endemic species adapted to almost all the inland climates from southern subtropical to frigid, except for desert, although there are hot dry valleys. The area is believed to support over 25% of the world's animal species, many being relict and endangered. There is a concentration of the country's rare and endangered animals within the nominated area. Being near the boundaries of the East Asian, South-East Asian and Tibetan biogeographic realms, the nominated area also acts as a corridor where several species from each realm meet and reach their limits of distribution. In addition there are numerous primitive animals that are relics of the ecological past, alongside animals that have recently adapted to colder conditions. 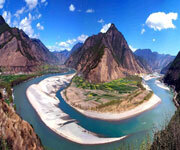 Browse All UNESCO World Heritage Sites in China. The original UNESCO inscription Here!! !